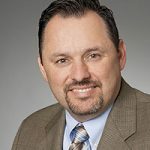 HOBAS PIPE USA, a leading manufacturer of centrifugally cast fiberglass reinforced polymer mortar (CCFRPM) pipe, announced the promotion of Rene R. Garcia, P.E., to Vice President of Engineering at the company’s Houston, Texas, headquarters. Garcia joined HOBAS in 2001 and has served as Engineering Supervisor since 2009. His supervisory responsibilities have included plans and specifications reviews, and providing technical support to the HOBAS sales team, consulting engineers, contractors, and owners. As Vice President of Engineering, Garcia will oversee the Engineering Department’s accuracy of technical specifications during project evaluation, bidding and contract phases; providing field engineers for technical support during installation, and researching new product development. A registered professional engineer, Garcia holds P.E. licenses in 25 states plus the District of Columbia. He has presented seminars and authored engineering white papers addressing the design and construction of fiberglass pipe; microtunneling, and sliplining large diameter pipe.